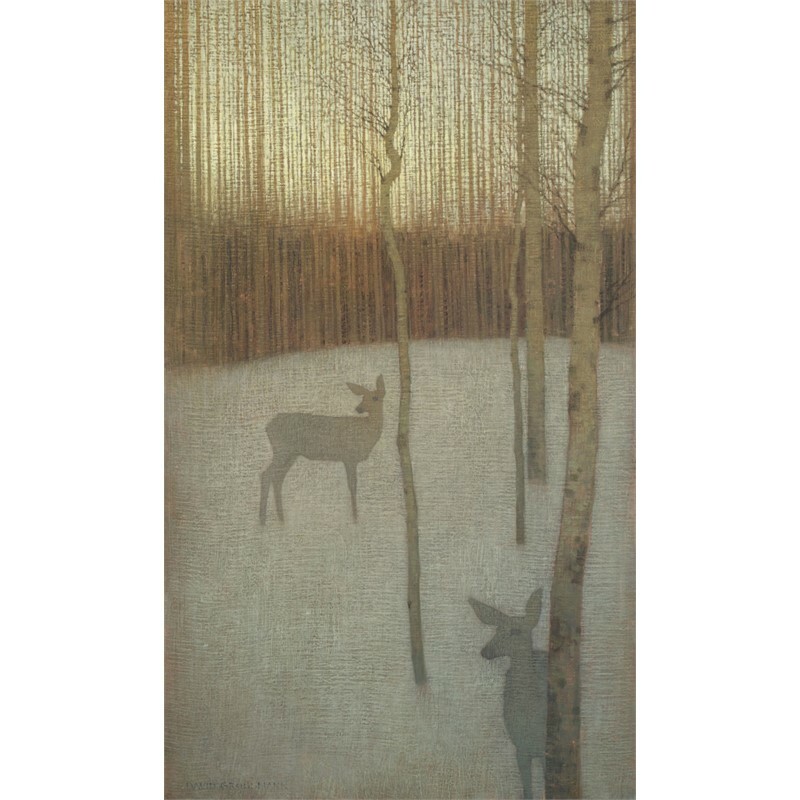 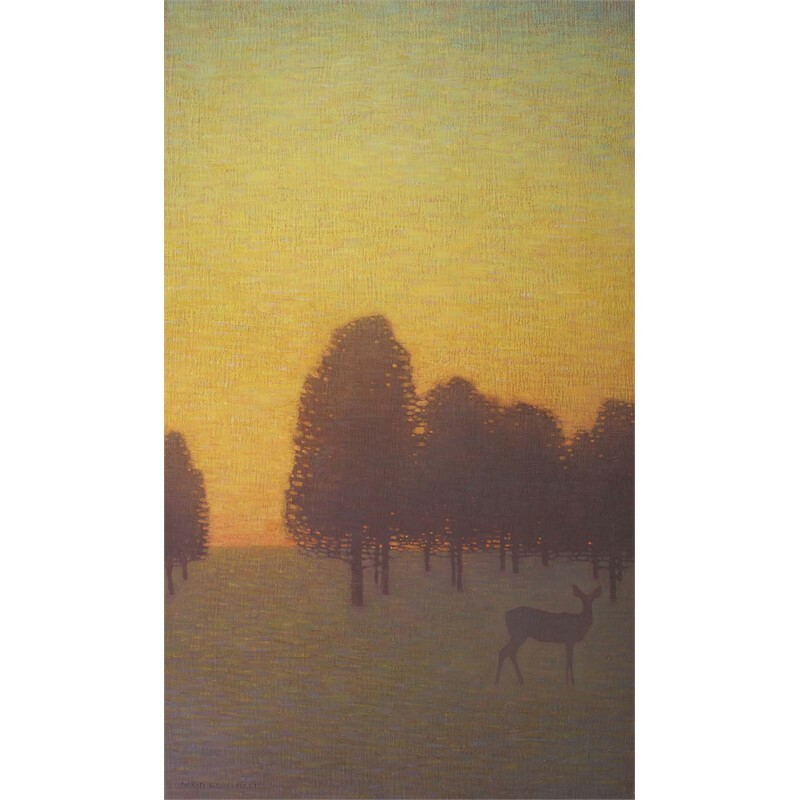 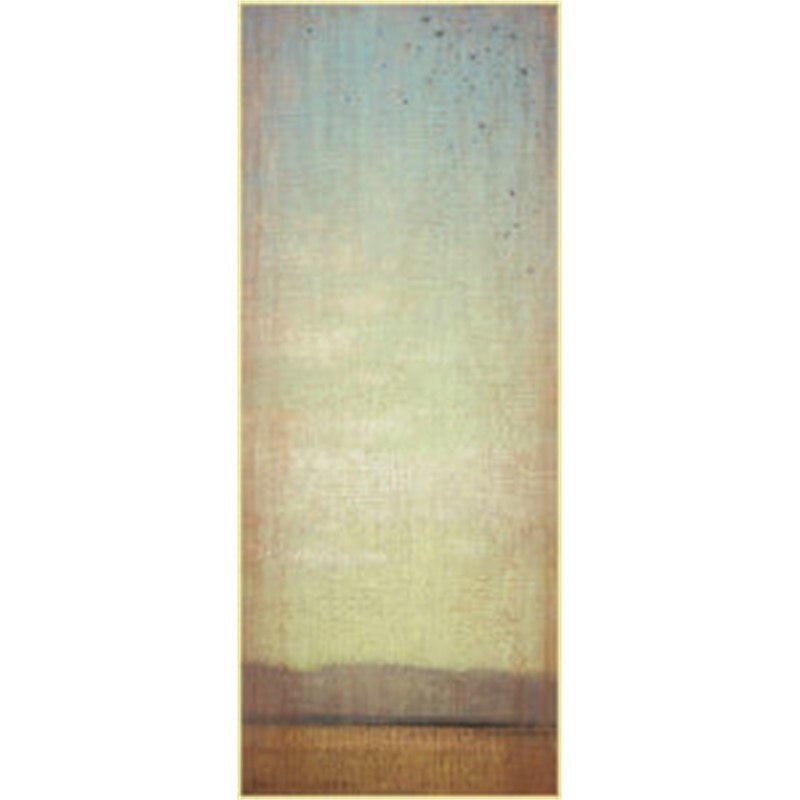 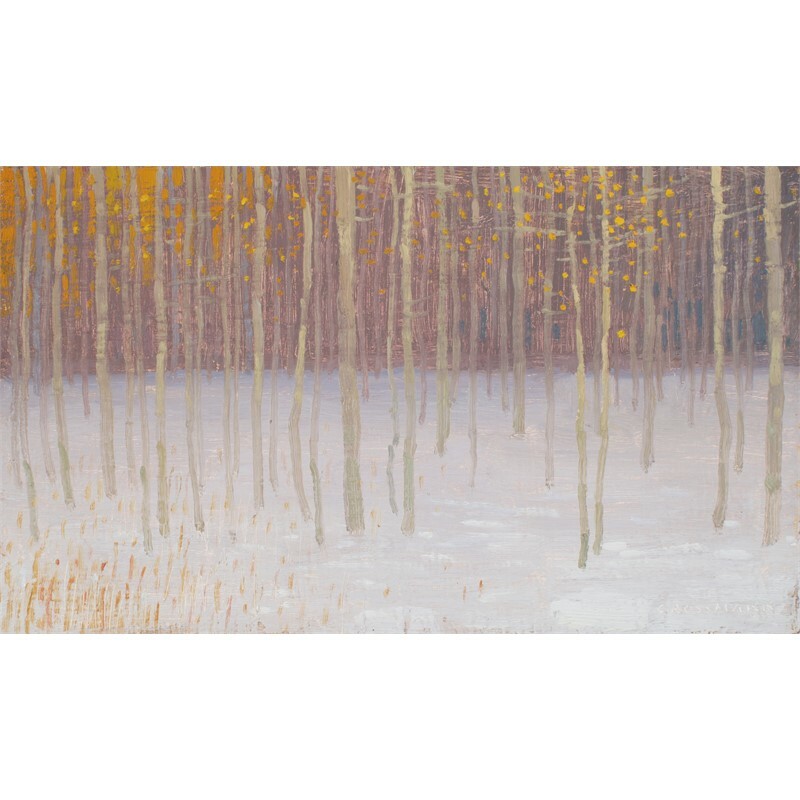 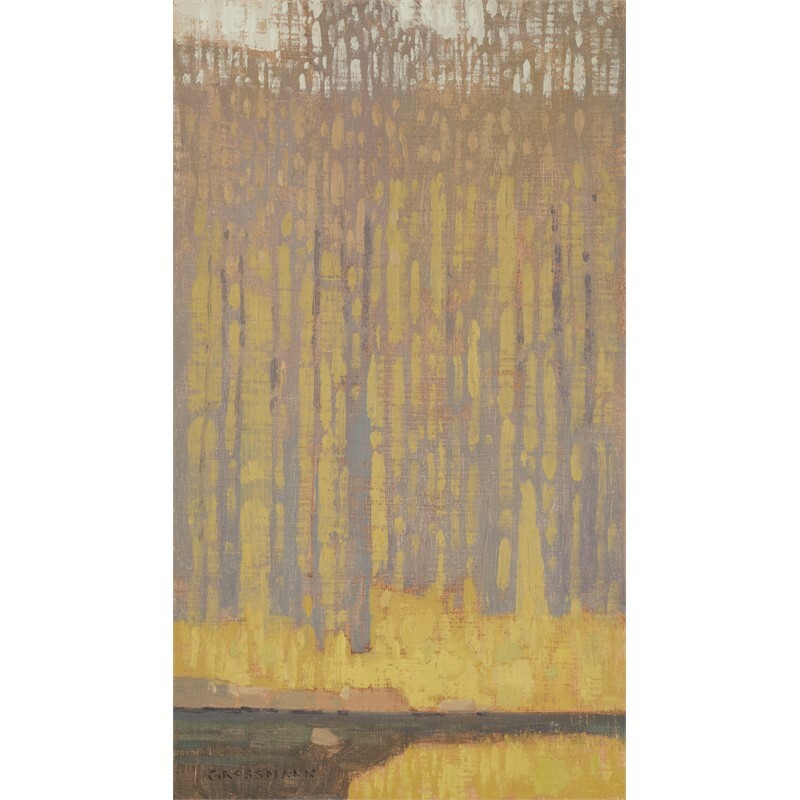 David Grossmann’s evocative landscapes blur the edges between reality, memory, and imagination. 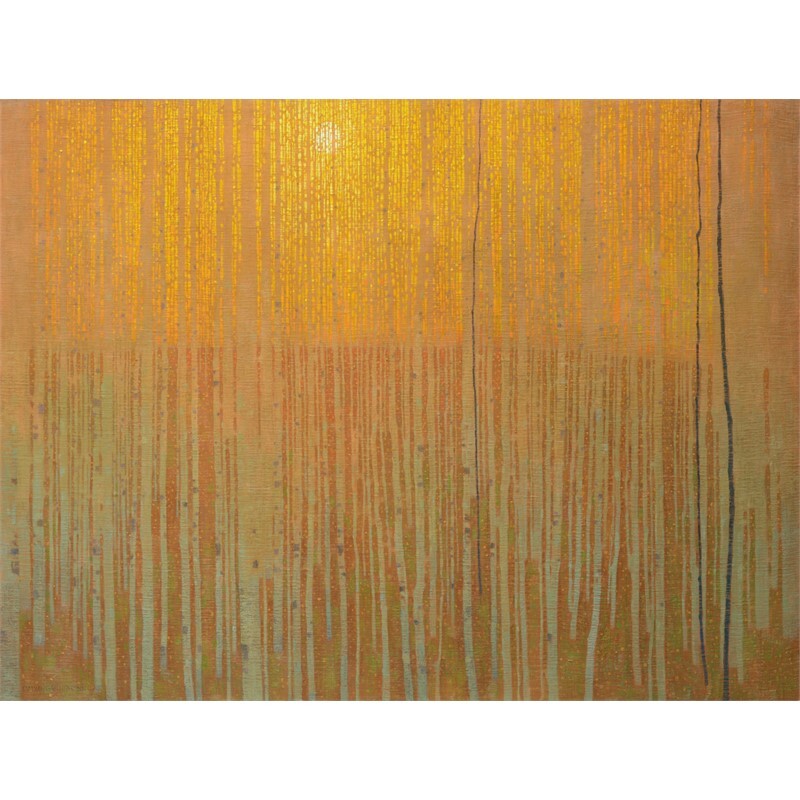 Grossmann was born in Colorado but grew up in Chile, and his adventures as an artist have taken him to many parts of the world. 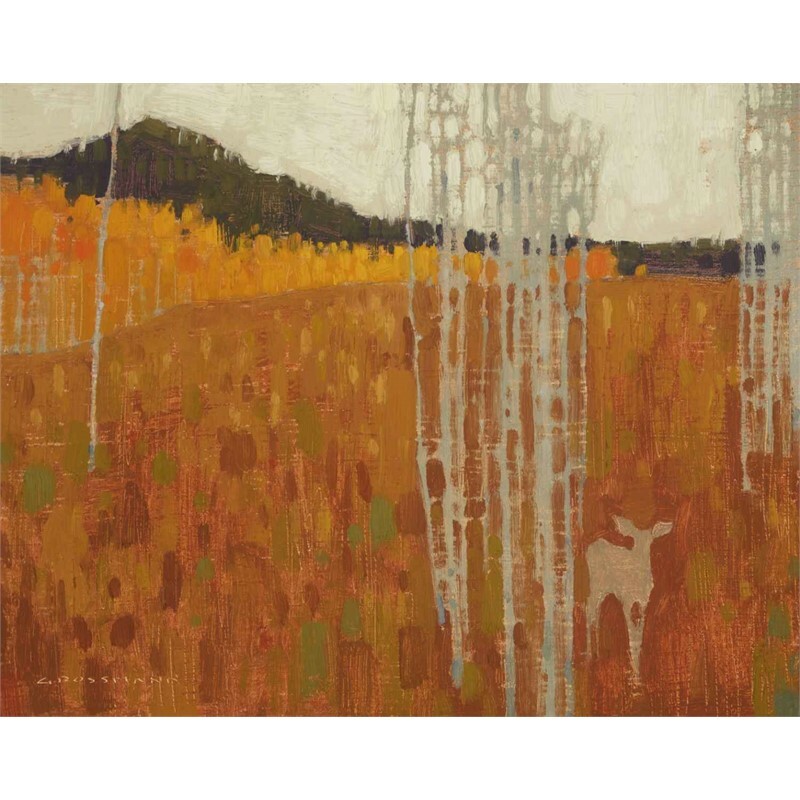 He now lives in Colorado again, where he and his wife Kristy find endless inspiration in the surrounding landscape. 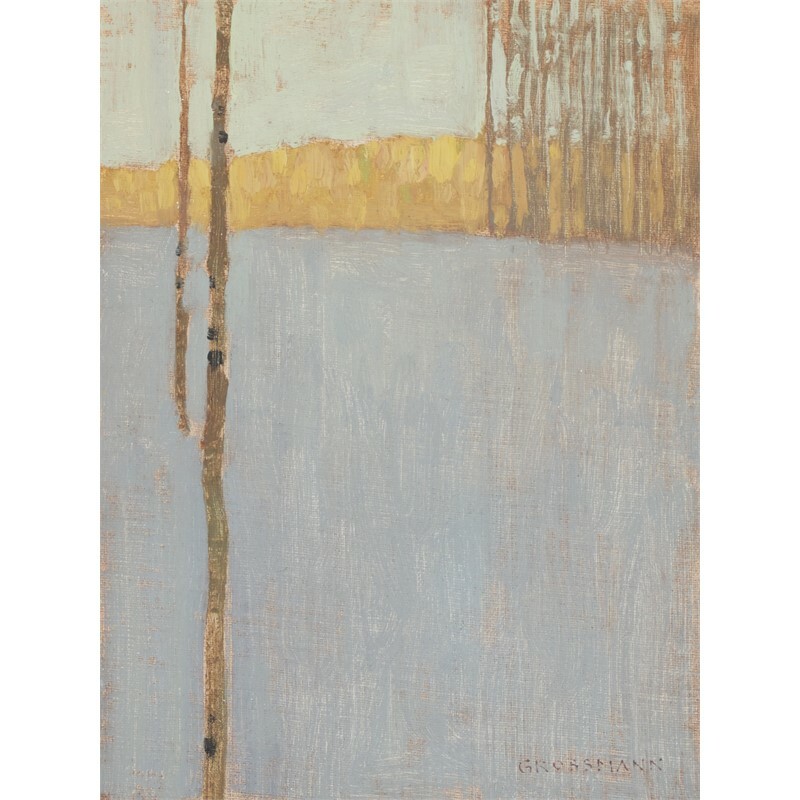 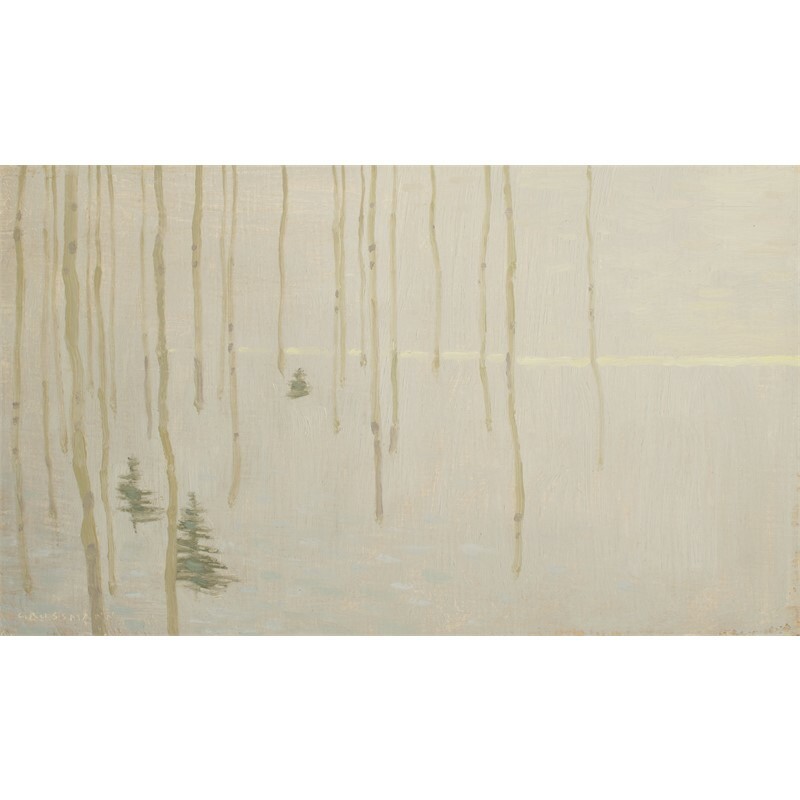 Art has been an important part of Grossmann’s life for as long as he can remember, and his first lessons as a young artist came from his mother and grandmother. 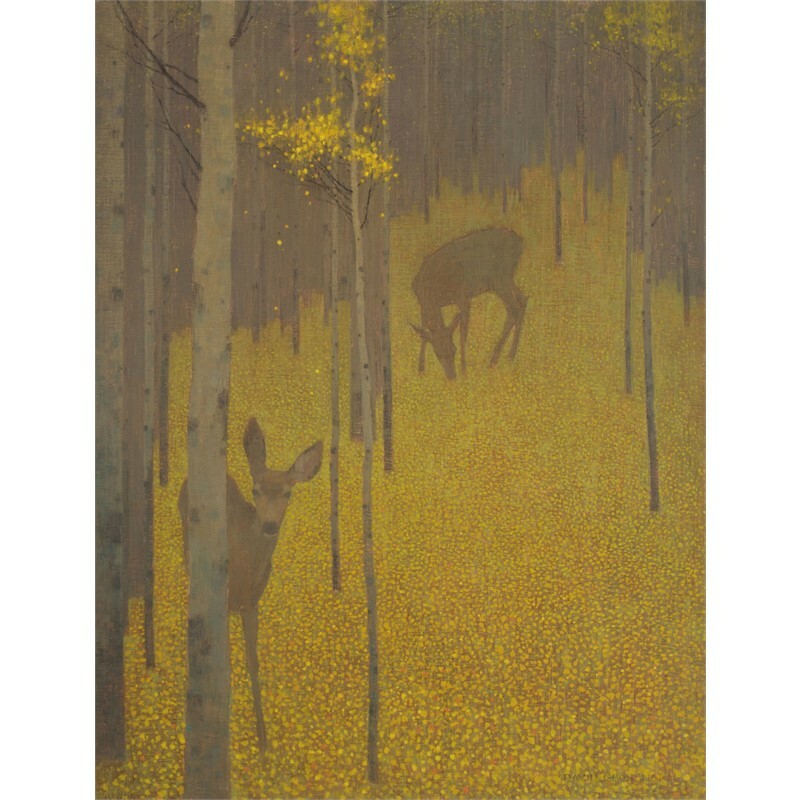 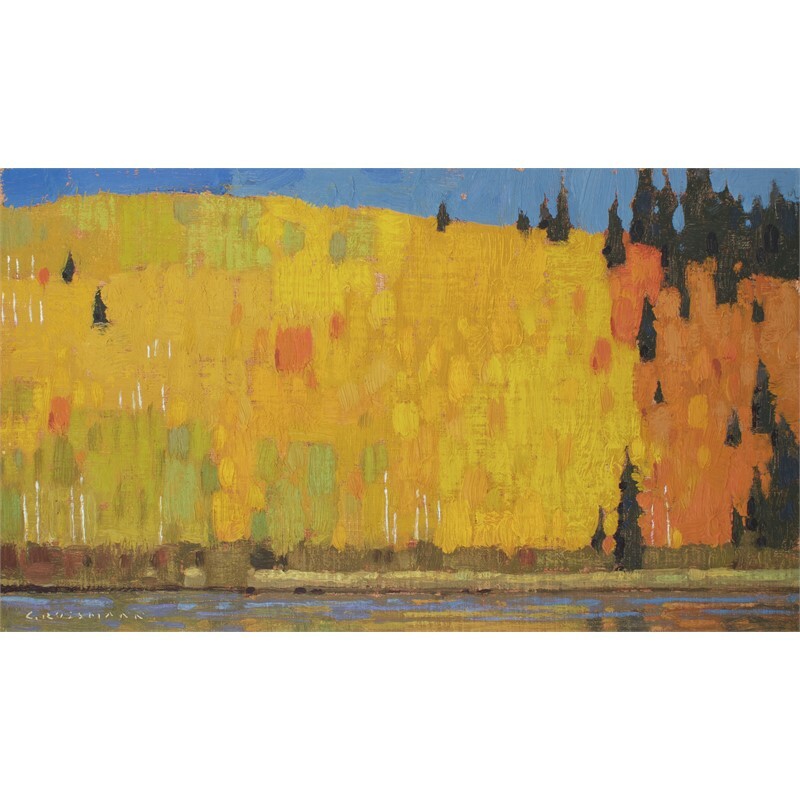 He was more formally educated through the Colorado Academy of Art in Boulder, as well as with renowned landscape artist Jay Moore. 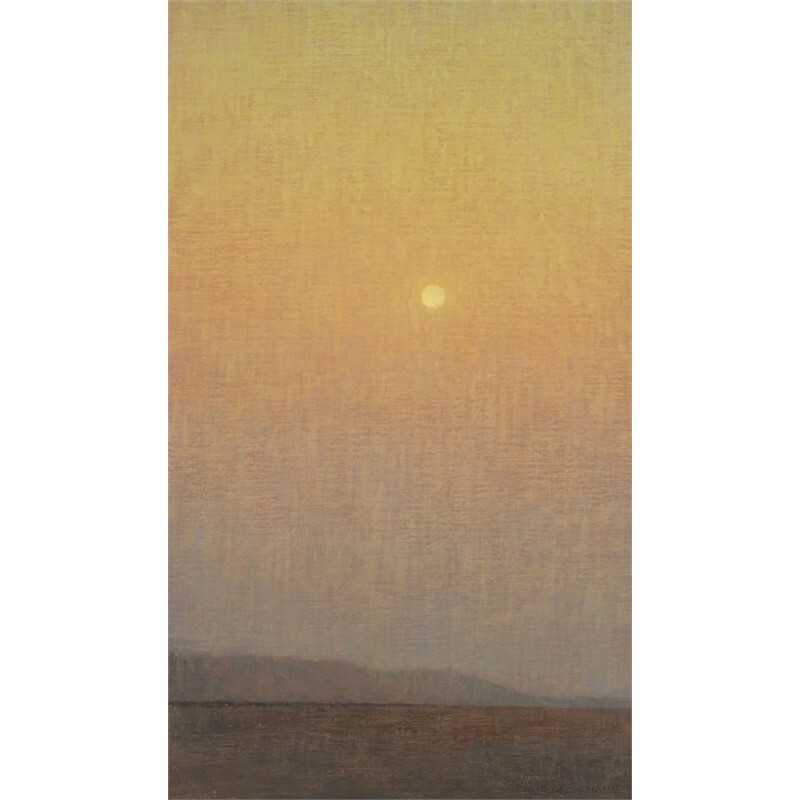 Merging techniques from centuries ago with a contemporary aesthetic, Grossmann’s work bridges the gap between old and new, tradition and abstraction. 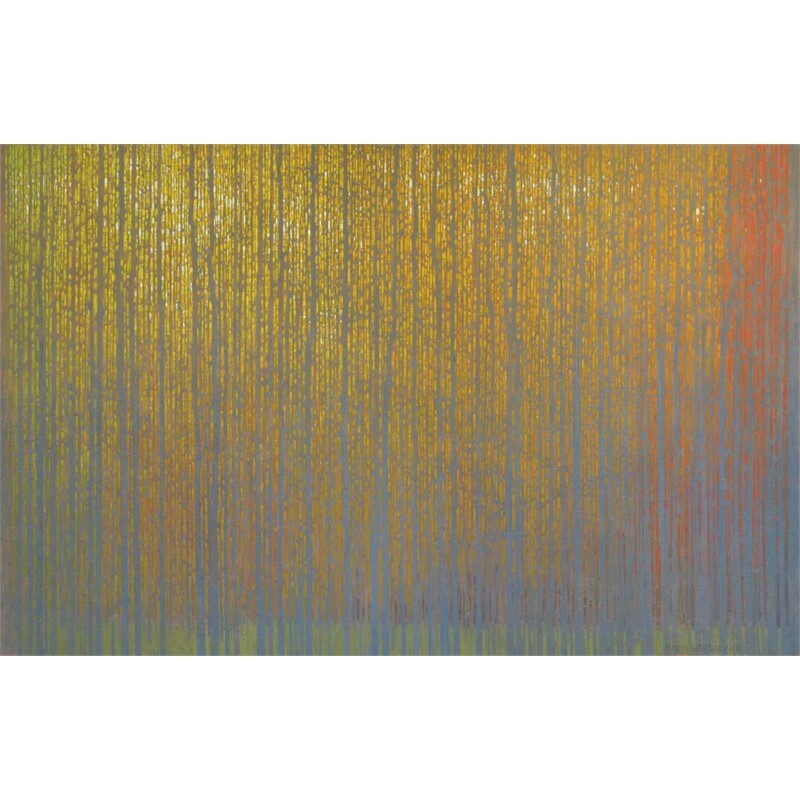 He works on hand-made panels which become the base for luminous layers of pigment and intricate surface textures that he meticulously develops throughout his studio paintings. 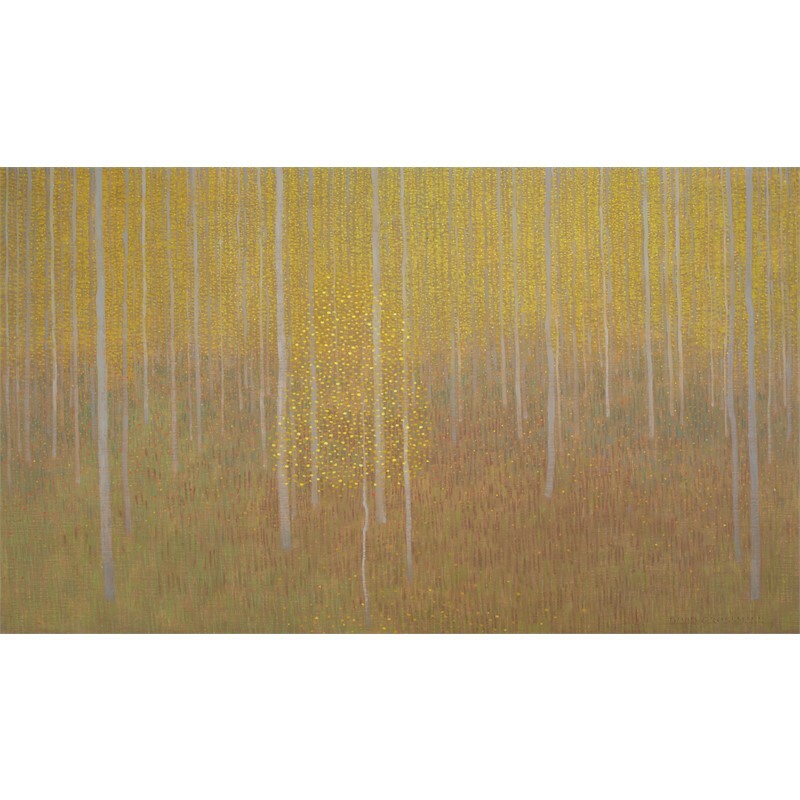 It is a time-consuming, meditative process that Grossmann balances with his frequent treks outdoors to paint directly and spontaneously from nature. 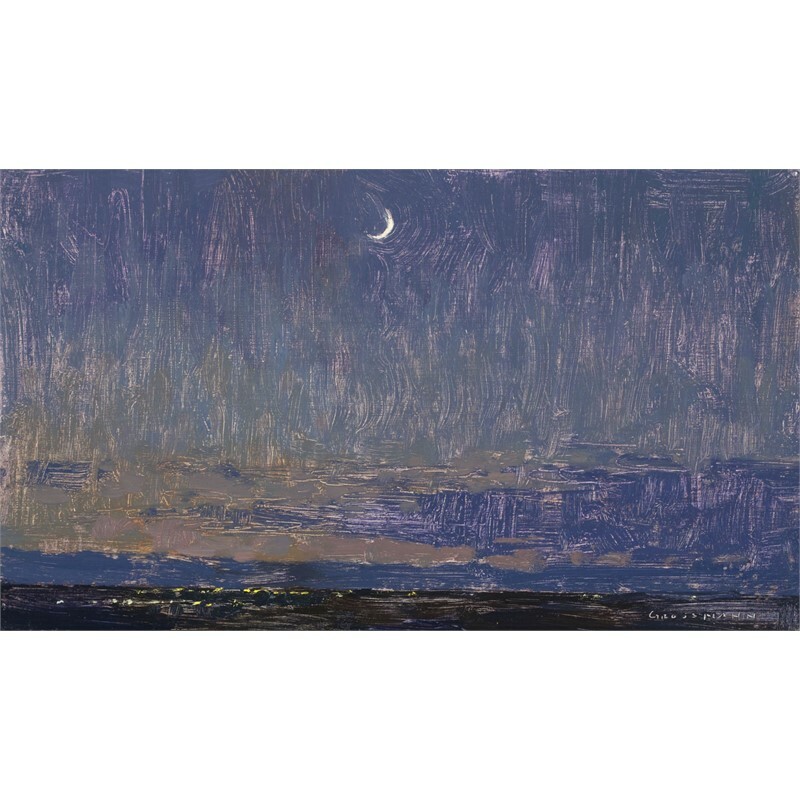 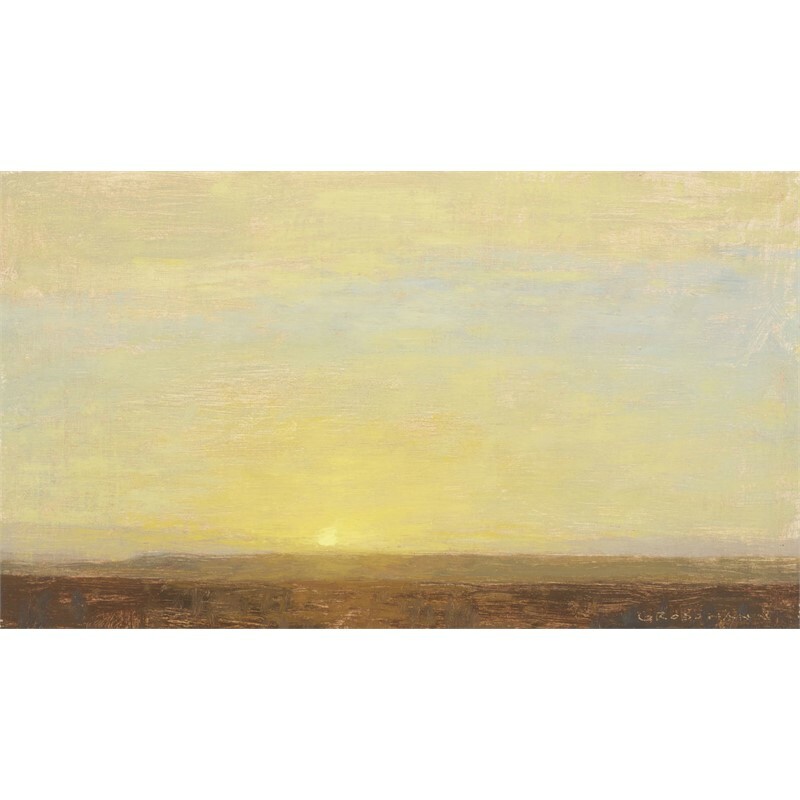 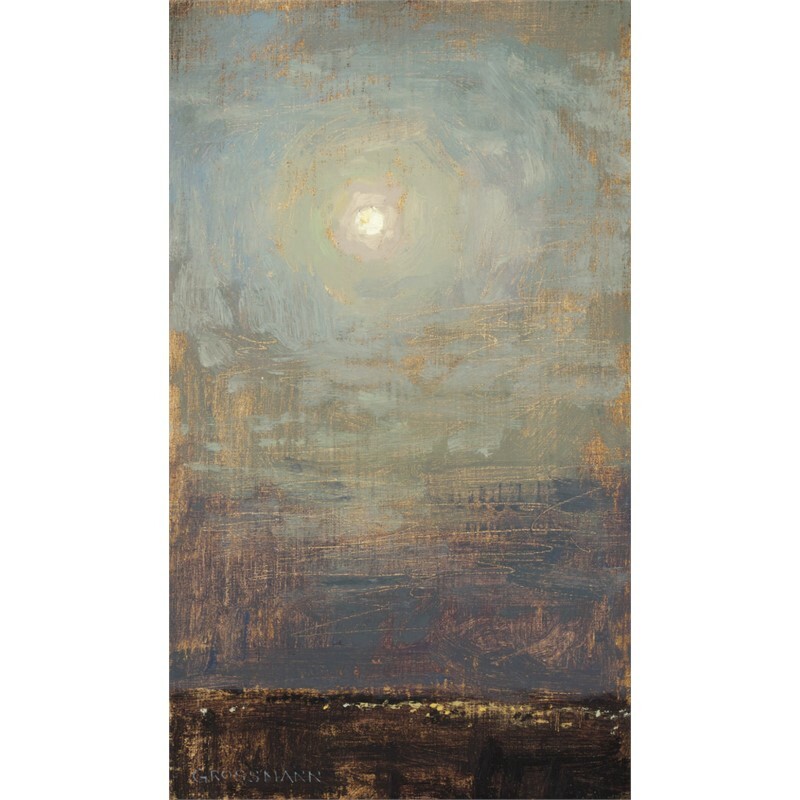 Grossmann’s work has received wide recognition from critics and collectors through exhibits across the United States and in Europe. 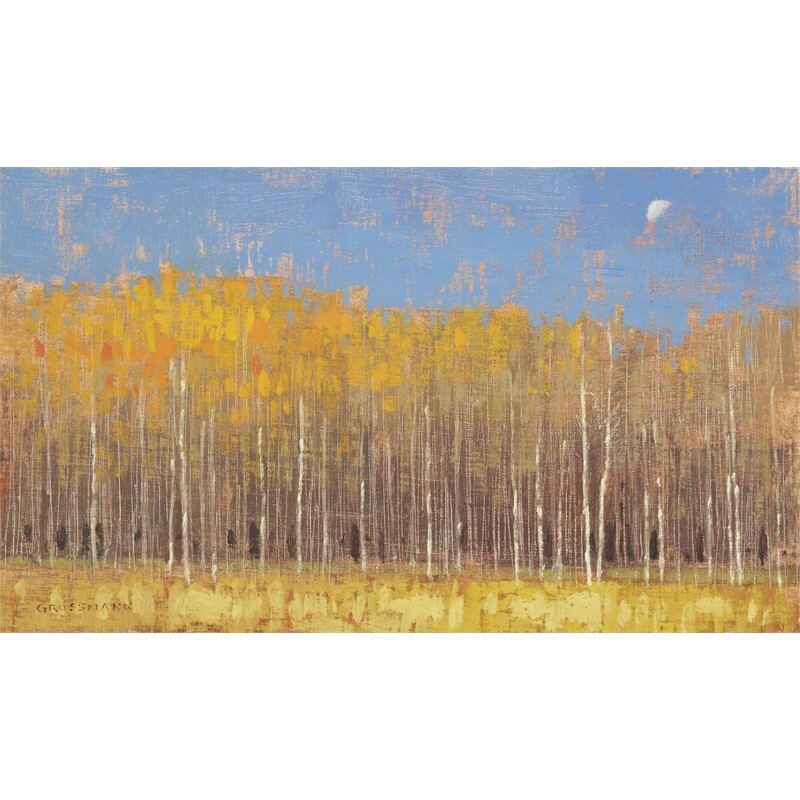 His many awards include the Artists Choice Award and the Southwest Art Award of Excellence at the Coors Western Art Exhibit and Sale. 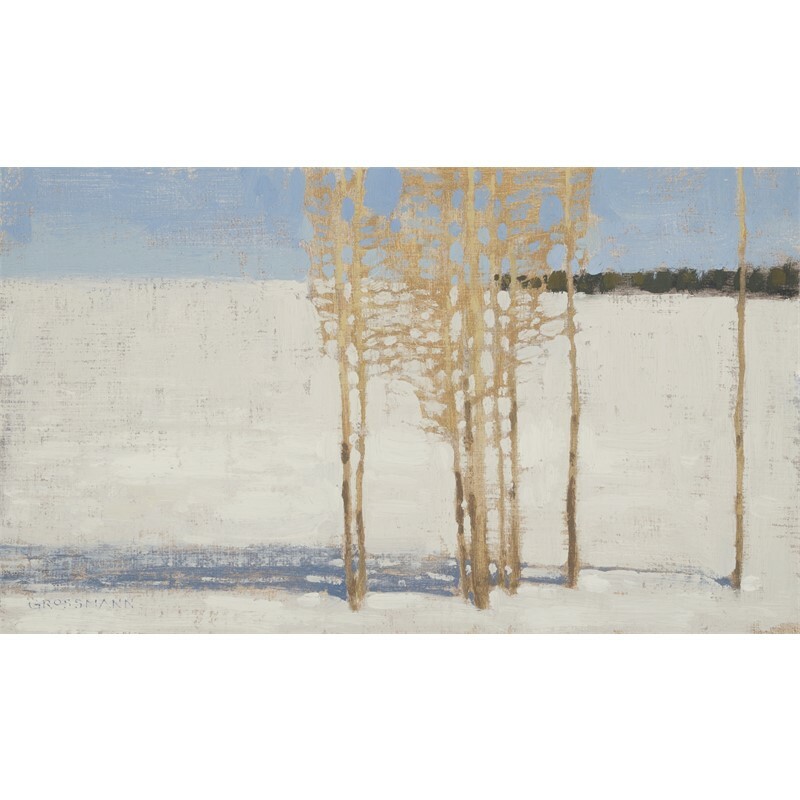 Grossmann’s work has been featured in numerous publications including American Art Collector, Plein Air Magazine, Southwest Art, and the Royal Academy Magazine. 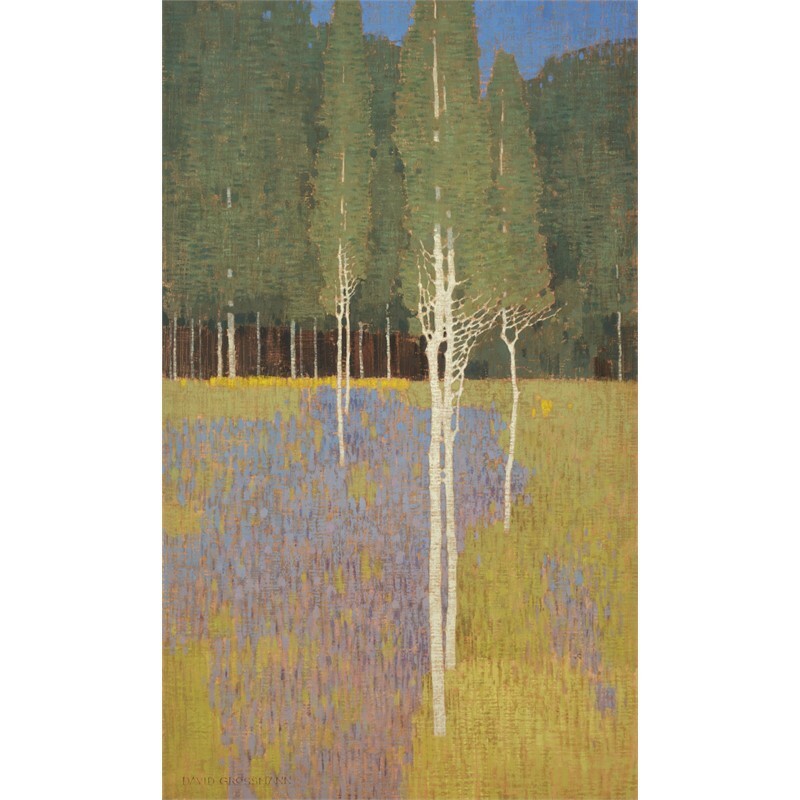 David Grossmann’s evocative landscapes blur the edges between reality, memory, and imagination. 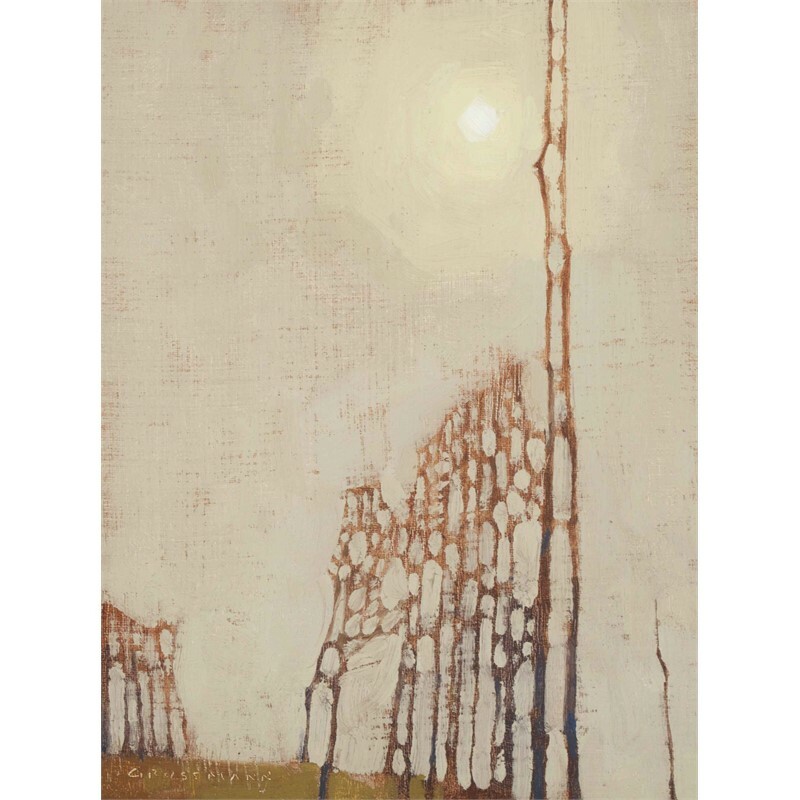 Grossmann was born in Colorado but grew up in Chile, and his adventures as an artist have taken him to many parts of the world. 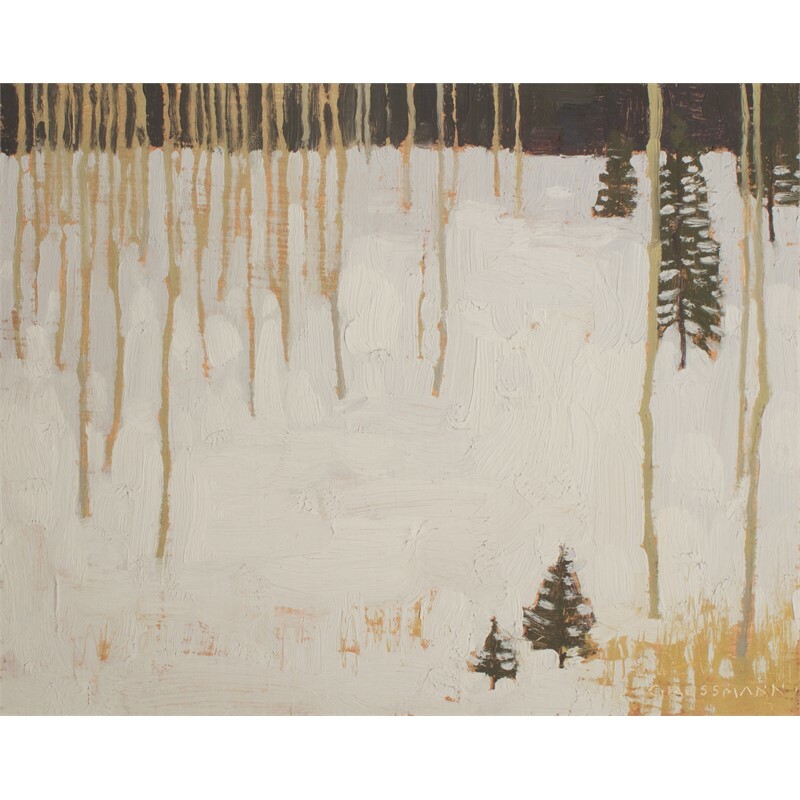 He now lives in Colorado again, where he and his wife Kristy find endless inspiration in the surrounding landscape. 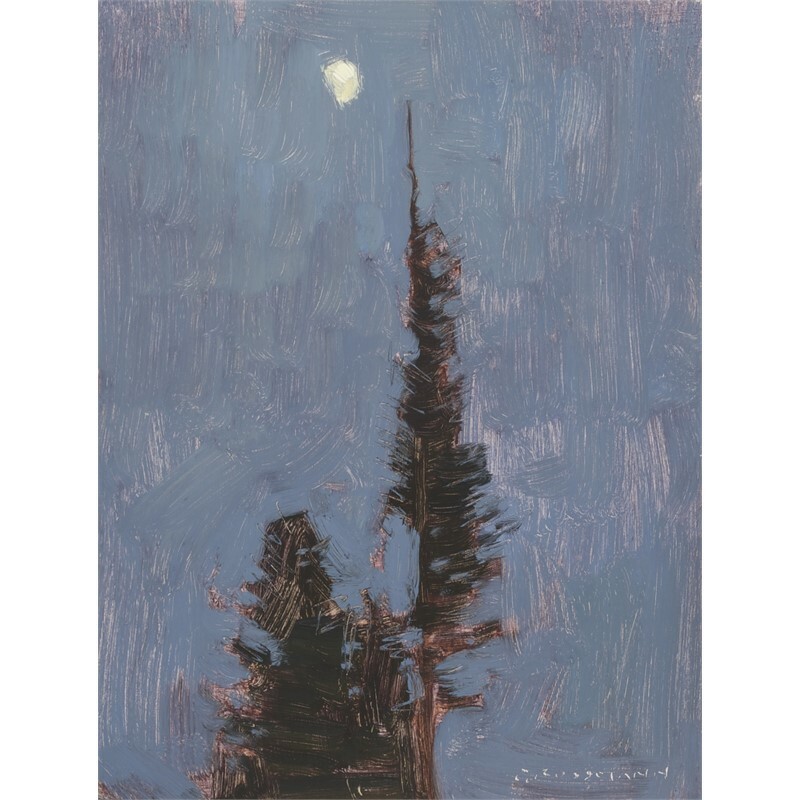 Art has been an important part of Grossmann’s life for as long as he can remember, and his first lessons as a young artist came from his mother and grandmother. 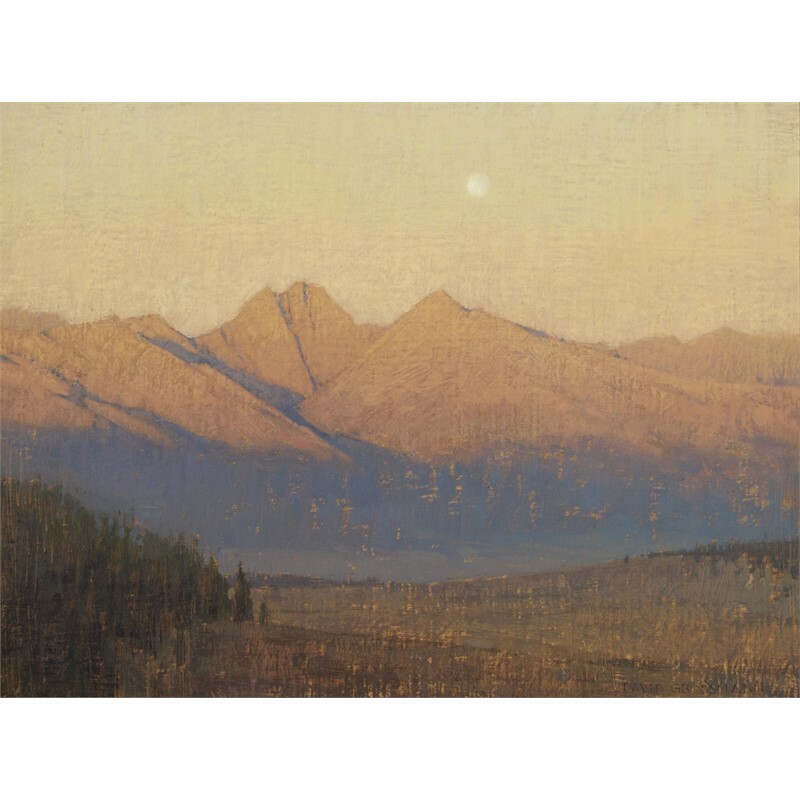 He was more formally educated through the Colorado Academy of Art in Boulder, as well as with renowned landscape artist Jay Moore. 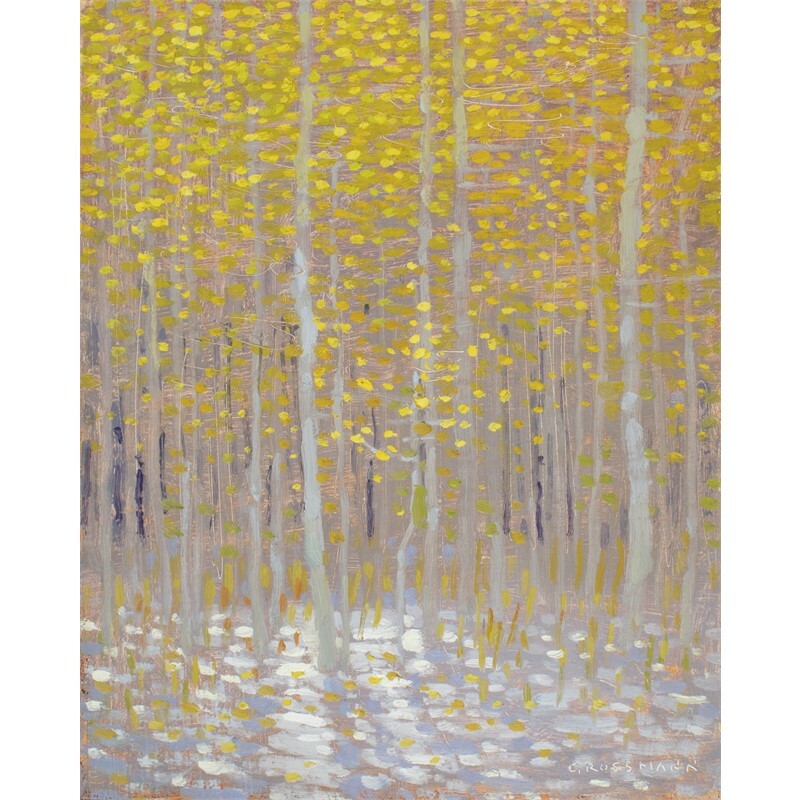 Grossmann sees painting as a heartfelt way of connecting both with creation and with people. 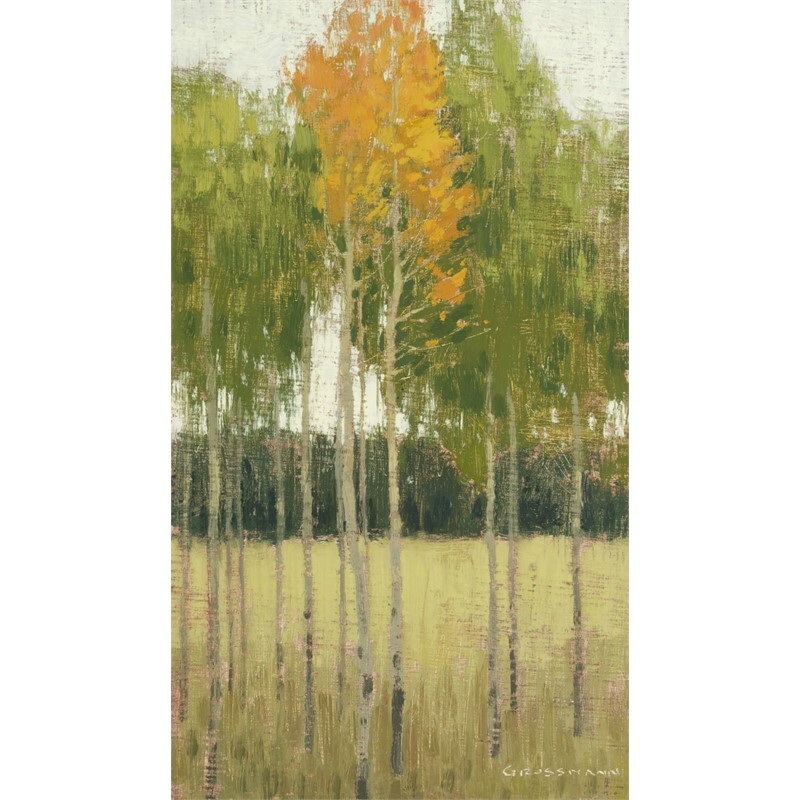 “When I paint the landscape, there is something in me that comes to life that doesn’t happen any other way. 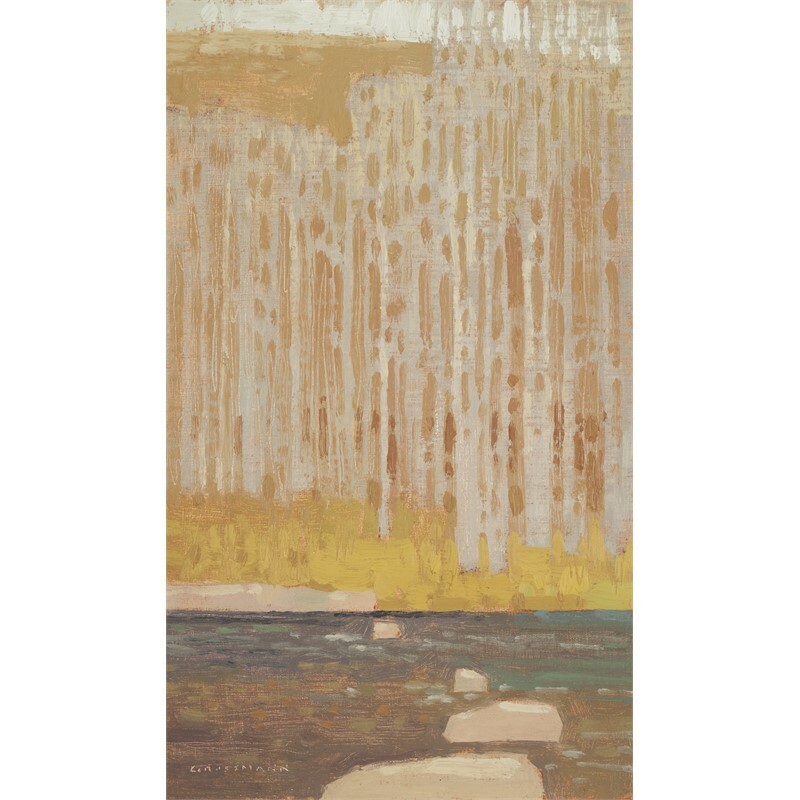 I hope to capture some of that spark and to convey it through my paintings so that others can also share in that profound sense of beauty and peace.” Merging techniques from centuries ago with a contemporary aesthetic, Grossmann’s work bridges the gap between old and new, tradition and abstraction. 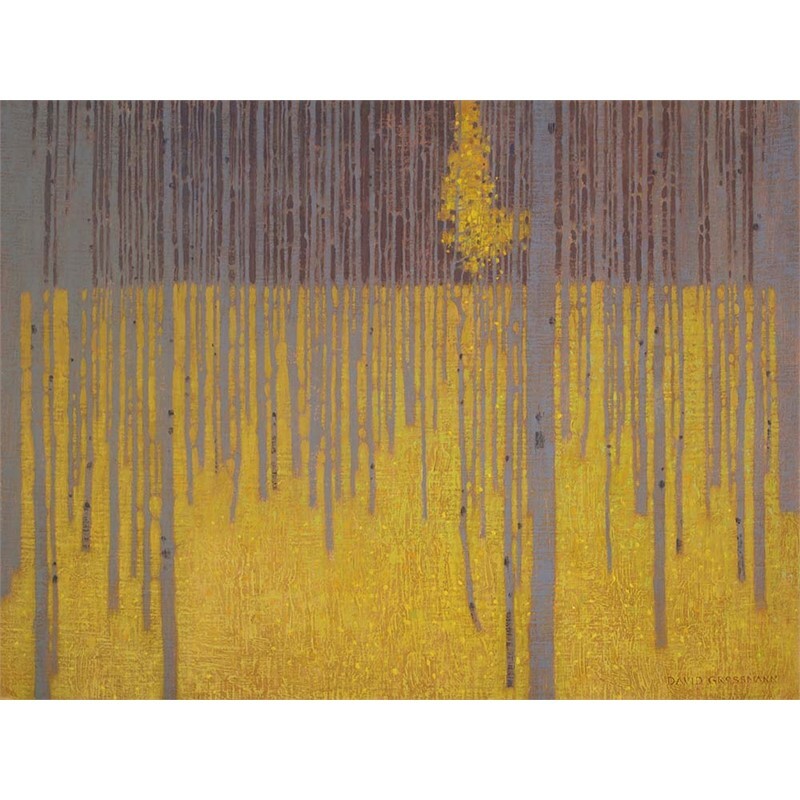 He works on hand-made panels which become the base for luminous layers of pigment and intricate surface textures that he meticulously develops throughout his studio paintings. 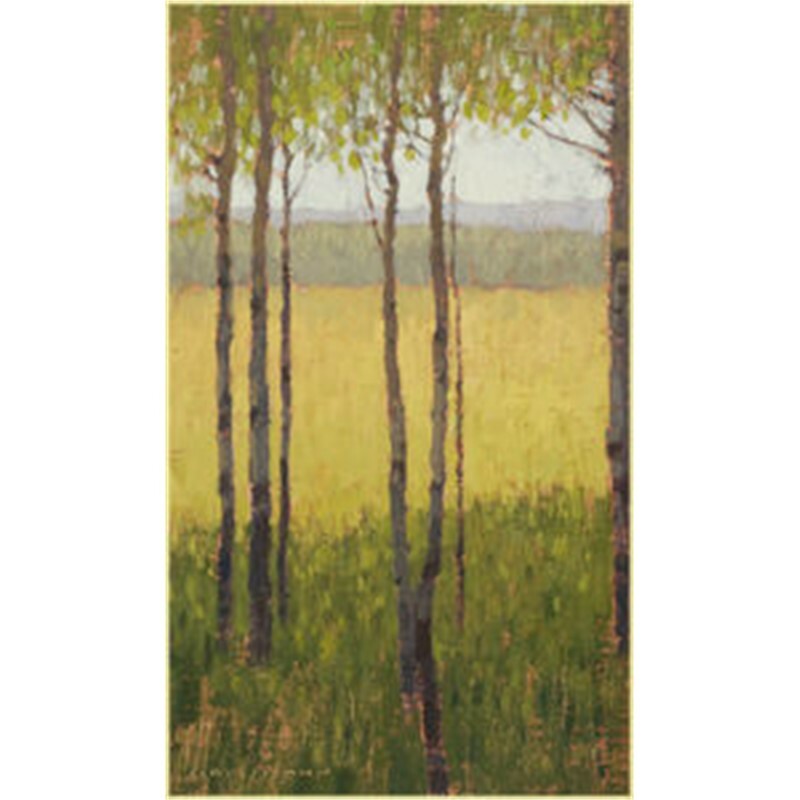 It is a time-consuming, meditative process that Grossmann balances with his frequent treks outdoors to paint directly and spontaneously from nature. 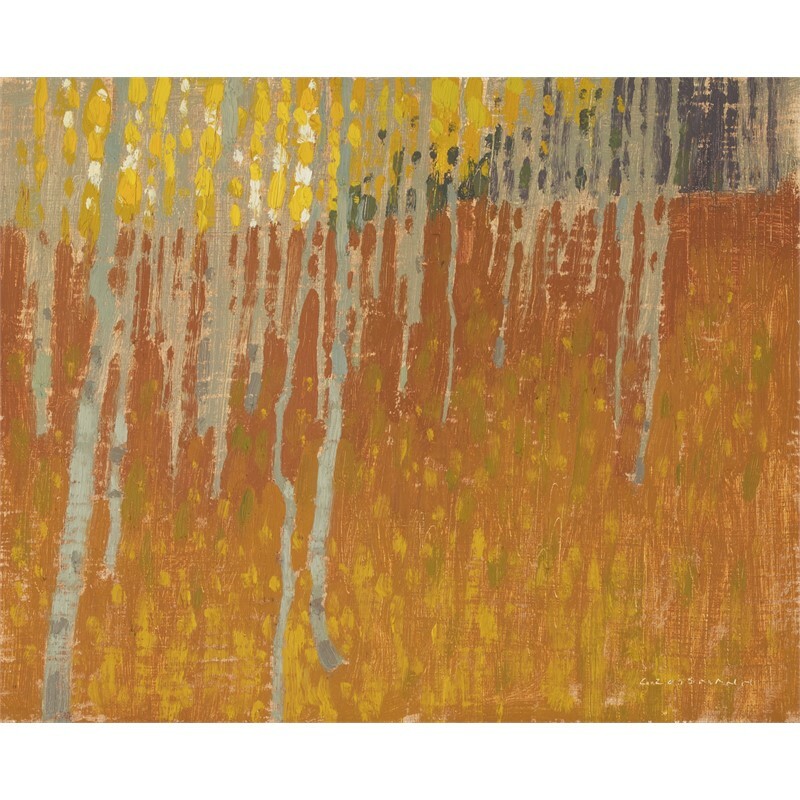 Grossmann’s work has received wide recognition from critics and collectors through exhibits across the United States and in Europe. 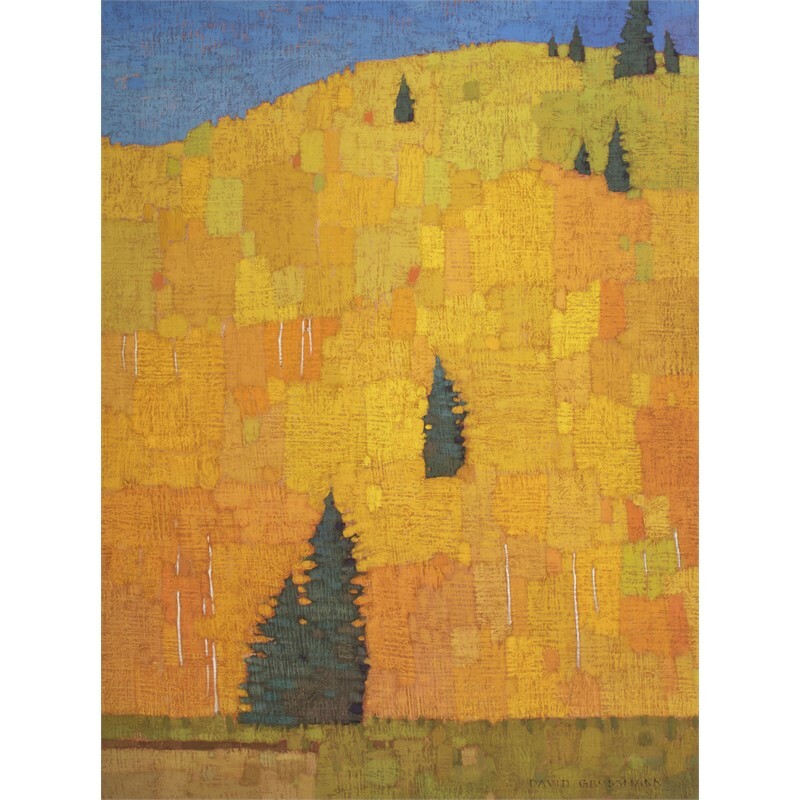 His many awards include the Artists Choice Award and the Southwest Art Award of Excellence at the Coors Western Art Exhibit and Sale. 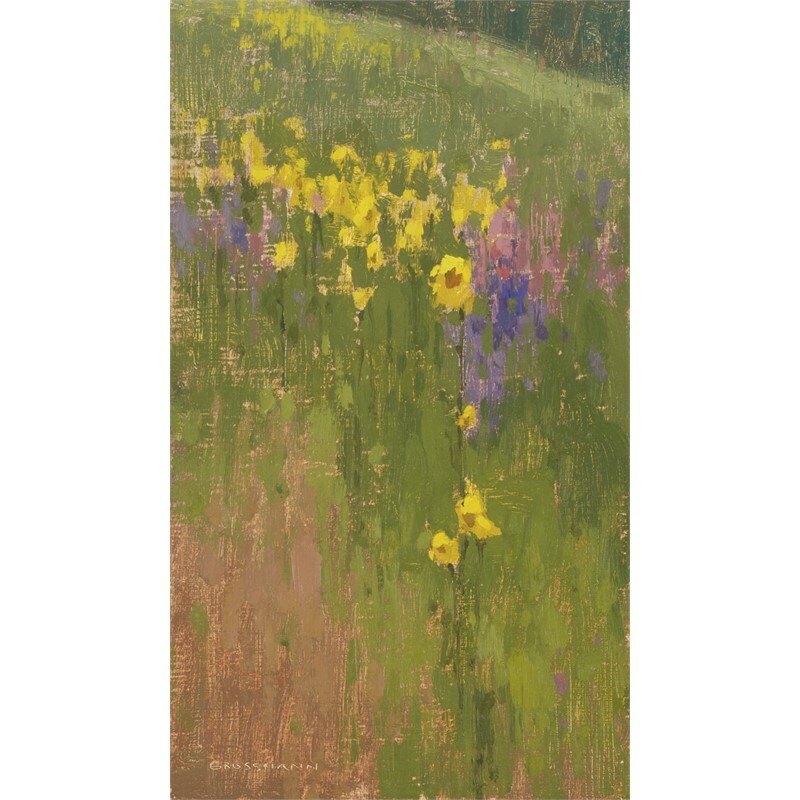 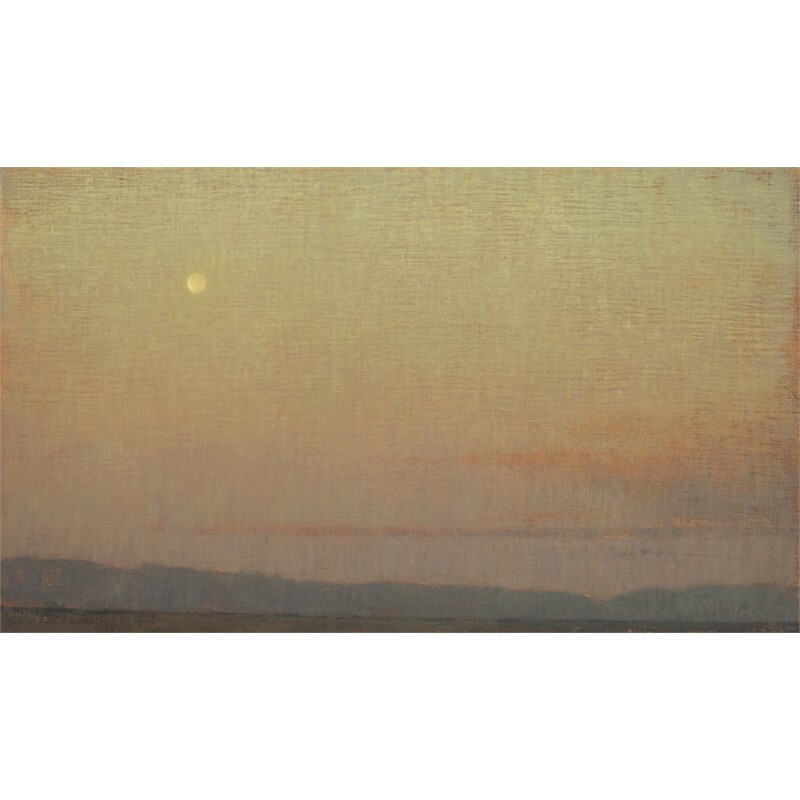 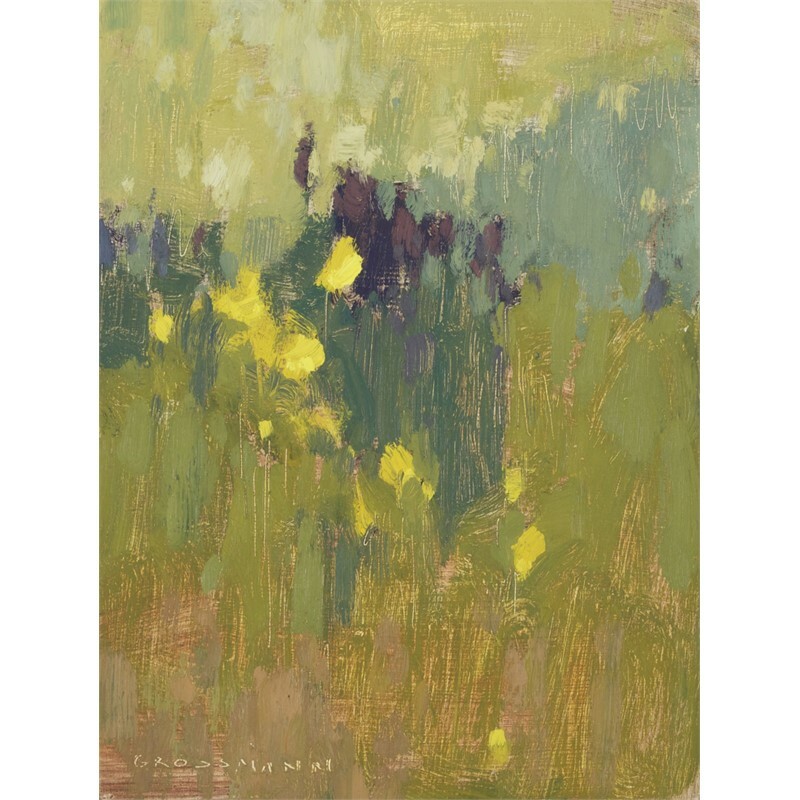  Grossmann’s work has been featured in numerous publications including American Art Collector, Plein Air Magazine, Southwest Art, and the Royal Academy Magazine.